Kimoyes item: 22798 - Beautiful panel taken from a girl's kimono. 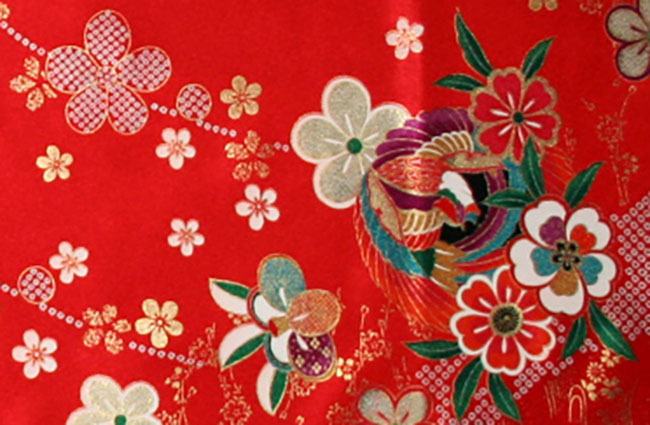 Beautiful panel taken from a girl's kimono. This quality synthetic has lots of metallic gold and traditional designs.